Happy Wednesday! I'm here posting two days in a row, which means it's time for another post with The Beauty Buffs! I cannot believe it's been two weeks already since our last postings. I apologize to the lovely ladies in the group for not commenting on their amazing black and white posts (see the link up at the bottom!). I loved each and every single one. I feel awkward going back two weeks and commenting now. Maybe I will, but still, I feel weird. Life just got so busy! I promise I will get better at commenting! Today our theme is texture inspired. I'm a huge fan of my Zoya Pixie Dust polishes. Personally, I love the original formula Pixie polishes. Sure, the Magical Pixies are great, but there is just something about the sparkly fine texture of the original formula. For today's manicure I had many different ideas running through my head. I wasn't sure if I should do textured nail art like I did for these roses, or a cutout design like my Pixie Dust Stars, or if I should do something with tape like I did for my fun checkerboard Pixie design. Then I thought though how awesome textured polishes look with creams, especially as an accent or framing the cream design. After purchasing China Glaze Capacity to See Beyond and after seeing this manicure, I decided to create what I call a framed accent manicure. I call it that because I'm framing my nail art with plain nails, which accent the nail art quite nicely. I tend to do this a lot with cream polishes that are topped with some Northern Lights. Doing it with a Pixie Dust though added so much more contrast to the manicure which I fell in love with. Enough of my babbling, I should let you look at the manicure! Isn't it gorgeous? This has to be one of my all time favorite manicures. As you know, I am a huge fan of blue, so this color combination was an automatic win in my book. If I had to sit down tonight and pick my all time favorite cream polish, it would be Capacity to See Beyond. It's the color I have searched years for and am so happy to finally own. I need to go grab every possible bottle in existence. Enough about the cream though, this post is all about the textures. The original formula Pixies are great for nail art. 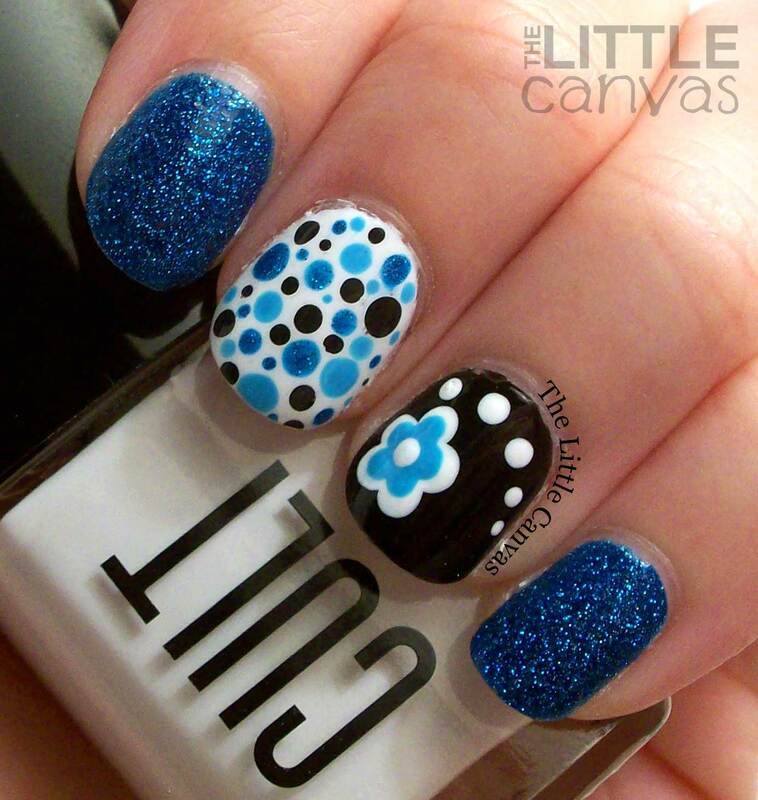 As you can see from my ring finger, and my thumb, I used a dotting tool and Liberty to create the flower and the dots. I love creating dotticures using them. If you have stayed away from purchasing polishes such as the Pixie dusts because you think that you cannot do nail art with them, click on that Pixie Dust tag at the bottom of this post. They make nail art pop! New photo set up. I'm trying to hold bottles of the polishes I use instead of just my top coat. Still trying to get a hang of it. Cult Cosmetics bottles are rather easy due to their shape. The China Glaze though are a whole different story. That though is another post! What do you think? Loving the look? Are you a fan of texture polishes? Clearly due to all my rambling you can tell I am. 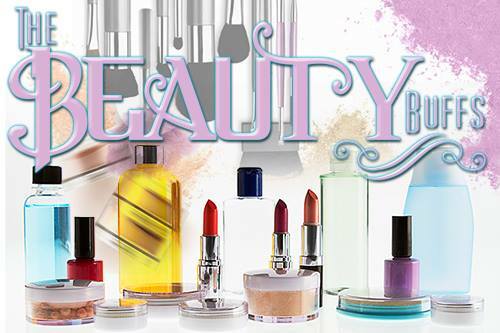 Make sure to check out the other Beauty Buffs posts! August Nail Artist of the Month: Taylor T Nails! The Great Polish Giveaway 2014!